Want a fun app that helps teach and reinforce your first shapes, all while playing a game? 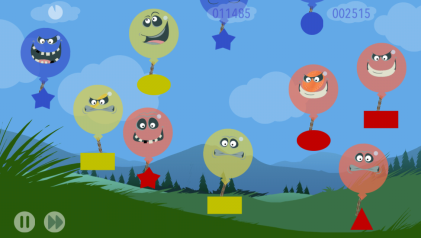 Crazy Balloons – First Shapes is an engaging, fun game that will do just that! Crazy Balloons – First Shapes was designed with input from kids, parents, as a way for children to learn, and practice recognising, their first shapes (and some fun ones too!) 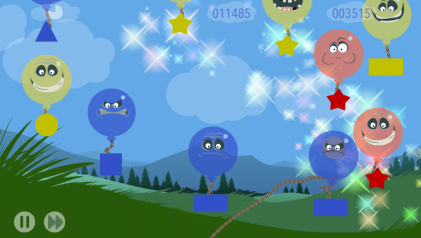 – all while playing a balloon-popping game that’s easy to learn but also a challenge. 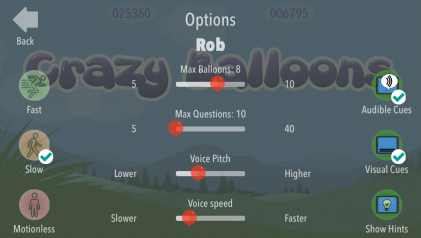 Why Crazy Balloons – First Shapes? PKCLsoft creates apps that are affordable, educational, engaging and accessible – because all children deserve to learn and become proficient communicators and readers. • Want to focus specifically on sight reading skills for older kids? Turn off the audible prompts!